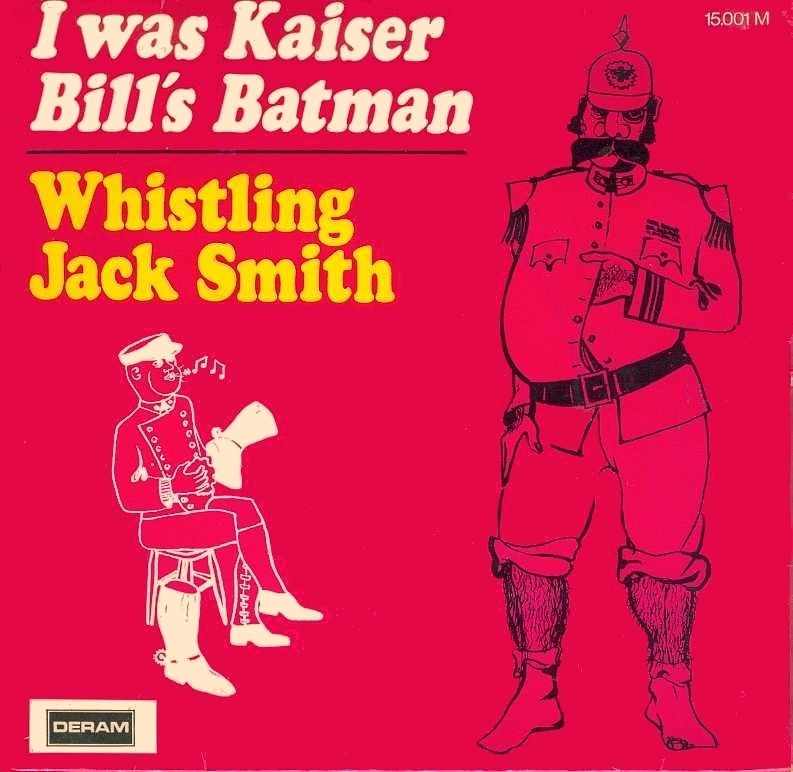 I Was Kaiser Bill’s Batman –? I fell down a rabbit hole this morning, spending much too much valuable time going from video to video until I ended up with a song with a goofiness that made me laugh. It’s called I Was Kaiser Bill’s Batman from 1967. It’s from a singer called Whistling Jack Smith whose real name was John O’Neill, who was a British tenor noted for his talent as a whistler. The song’s original title was Too Much Birdseed. I don’t know which I like better. You just don’t hear many whistling songs these days so give it a listen– maybe it will make you smile.